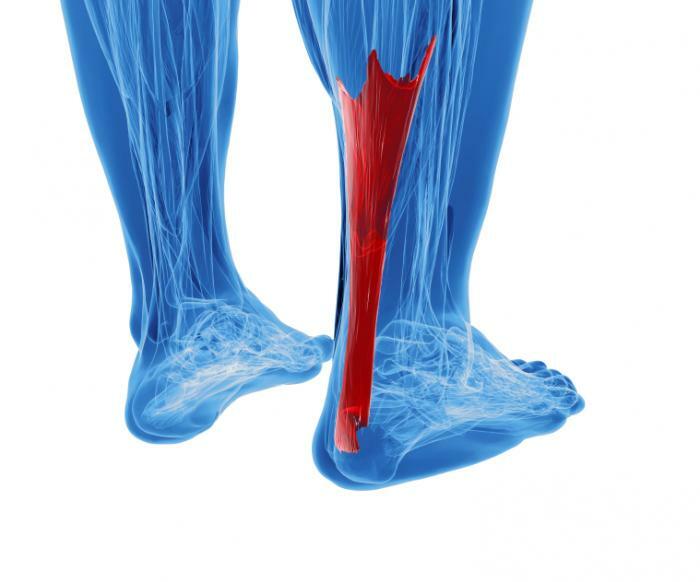 Achilles tendinitis. Achilles tendonitis is inflammation of the Achilles tendon, the largest tendon in the body, which runs from the calf to the heel bone. Noninsertional Achilles tendonitis affects fibers in the middle of the tendon. 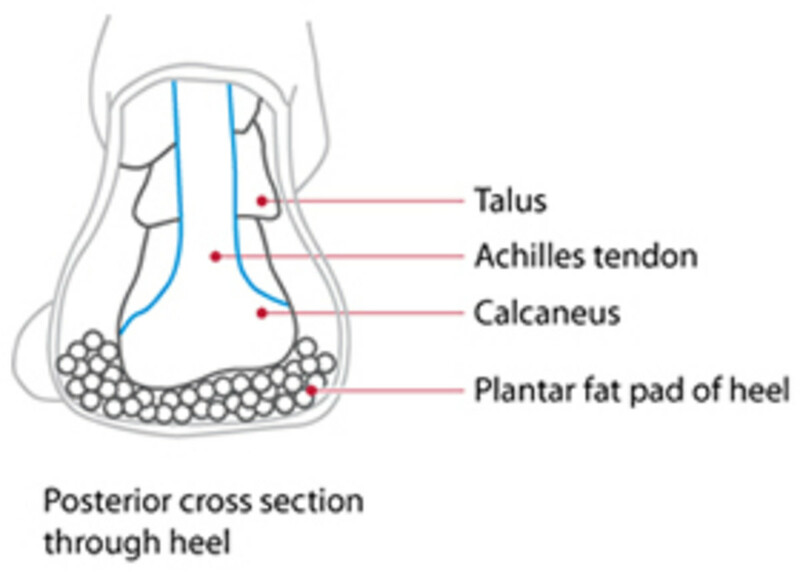 Insertional Achilles tendonitis affects the lower portion of the tendon where it attaches to the heel bone. Both types can result from repetitive stress to the tendon or from overstressing the tendon during exercise. Damaged tendon fibers can calcify and bone spurs can form where the tendon attaches to the bone. Symptoms may include pain and stiffness of the tendon - which may occur from either inactivity (such as first thing in the morning) or after activity - thickening or swelling of the tendon or bone spurs.